Happy National Wine Day! Not to be confused with National DRINK Wine Day, which happens in February. Honestly, what does it matter? 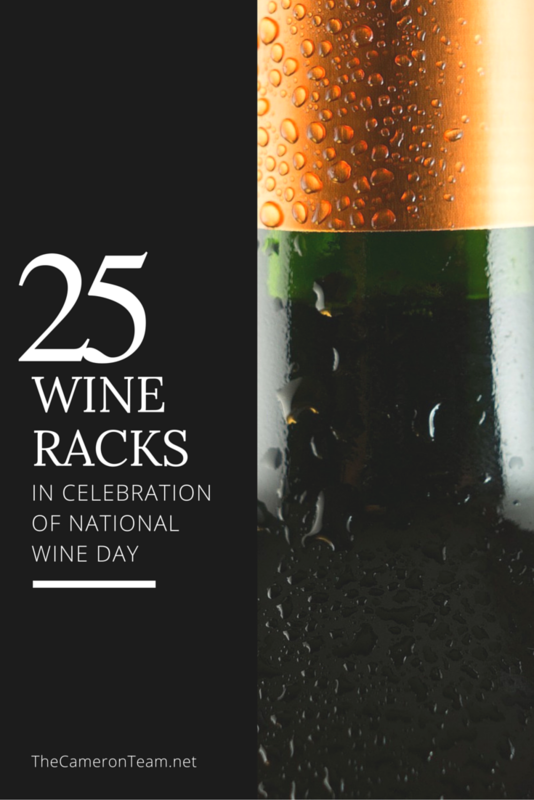 We can always use another excuse to drink wine…In honor of this day, we’ve compiled a list of 25 (get it?…May 25th) of our favorite wine racks. This DIY project has proven to be a real winner with pallet enthusiasts. 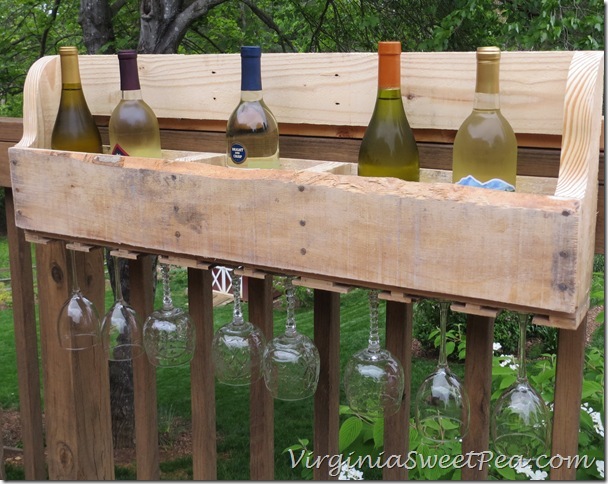 Paula from Virginia Sweet Pea shares how to put together your own pallet wine rack, wine glass holders and all. 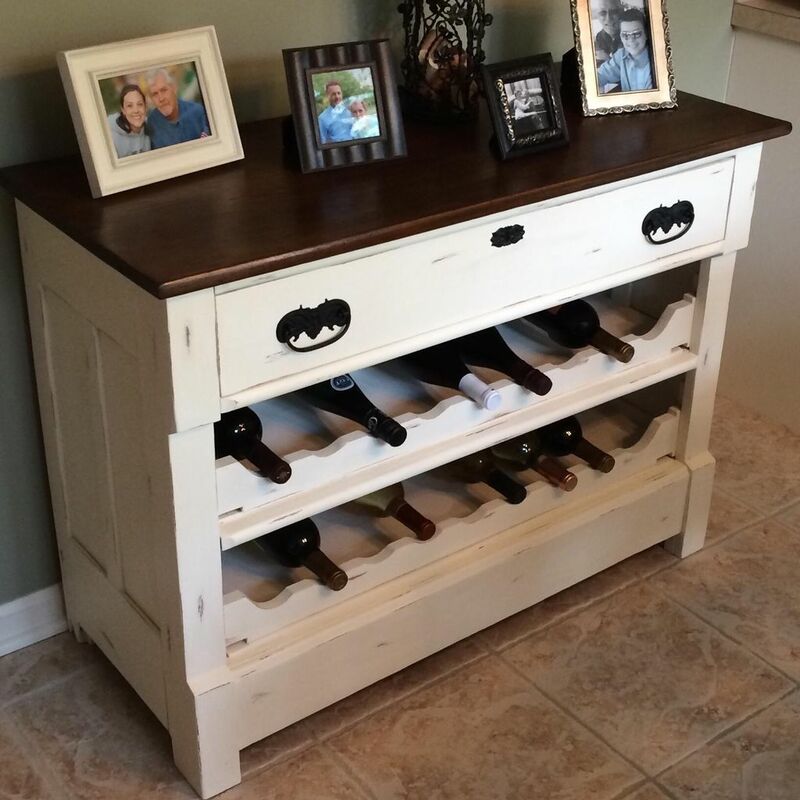 We love dresser to __________ projects, so there’s no surprise that we’re fond of this wine rack made from a dresser shared by Toni at The Happy Housewife. Of course, this option probably isn’t the best if you have small children, but it sure is chic! 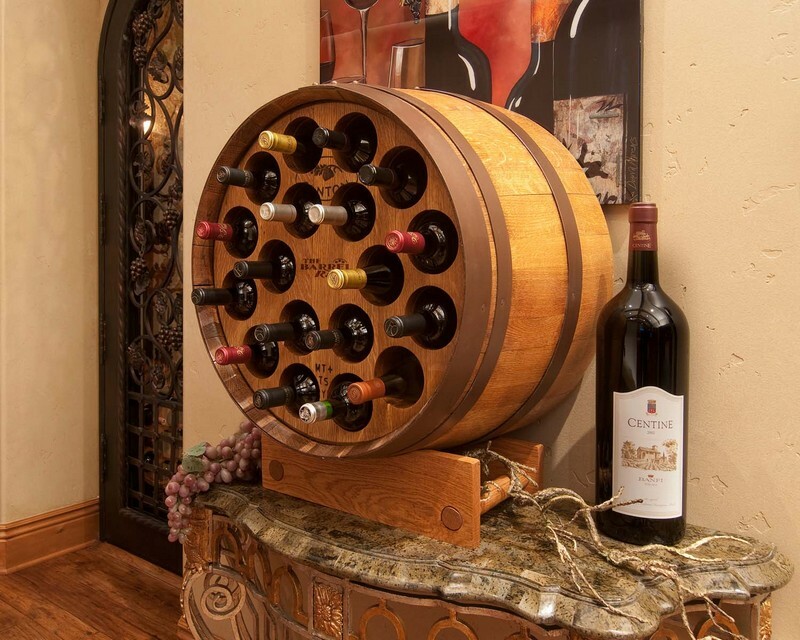 Wait…a wine rack made out of a wine barrel? What could make more sense?! This isn’t the only design available from Sterling Wine Online. You can see more quality wine barrel racks on their website. 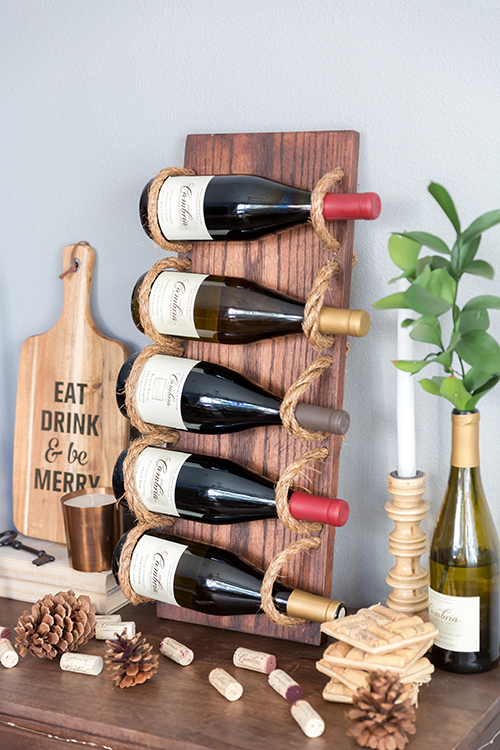 Nails and reclaimed redwood come together to make a beautiful wine rack with a rustic feel. Each of these is handmade by SweetRedDesign, so every piece is unique. See examples in their Etsy store. 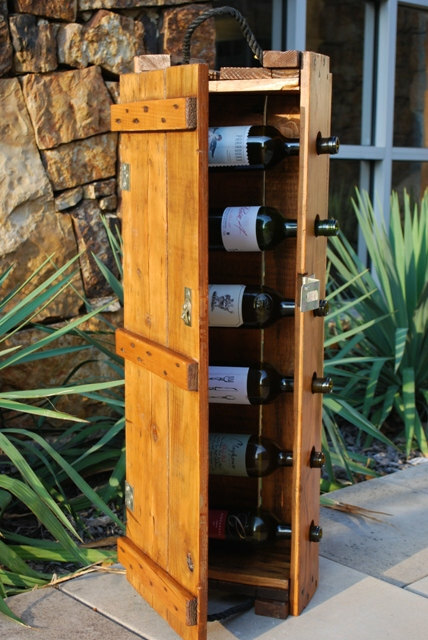 Rack & Ruin is a company that specializes in creating wine racks from reclaimed wood. Their more unique pieces are made from whole trees, mainly British hardwoods – yew, pine, oak, beech, etc. 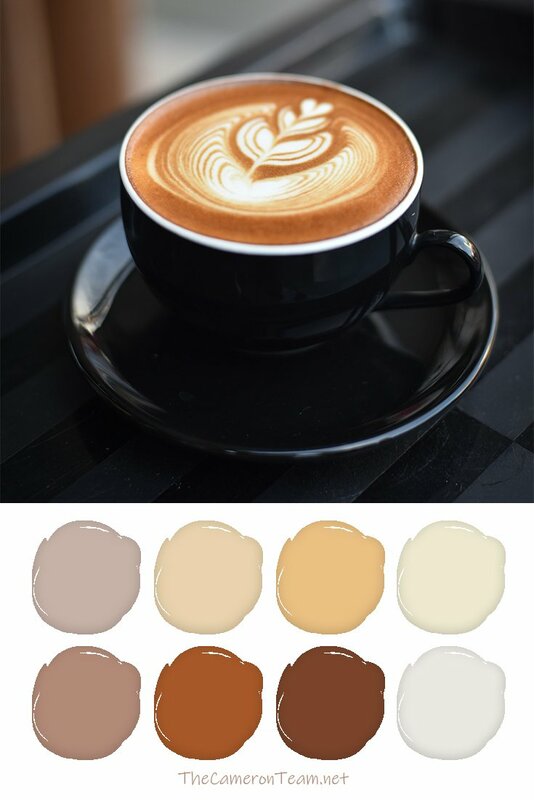 They aim to maintain the distinctive colors and shapes of each piece they convert. The results are beautiful conversation starters. Here’s one for all you motorheads! 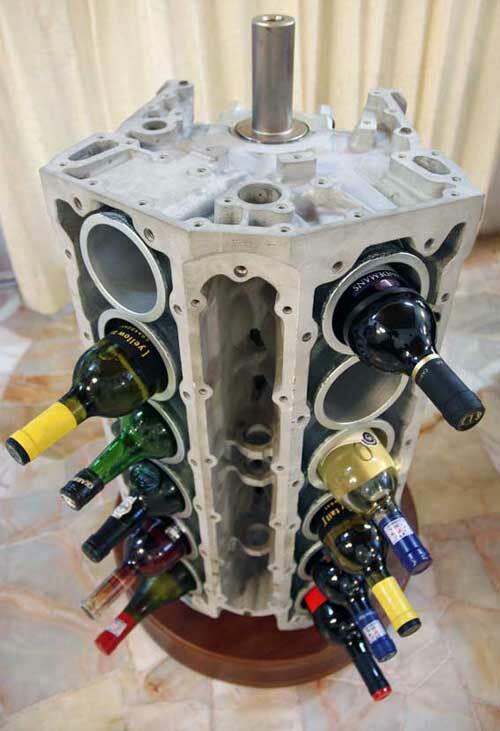 This V12 Engine Wine Rack was made by Dave Lacey. You can see his design notes here. 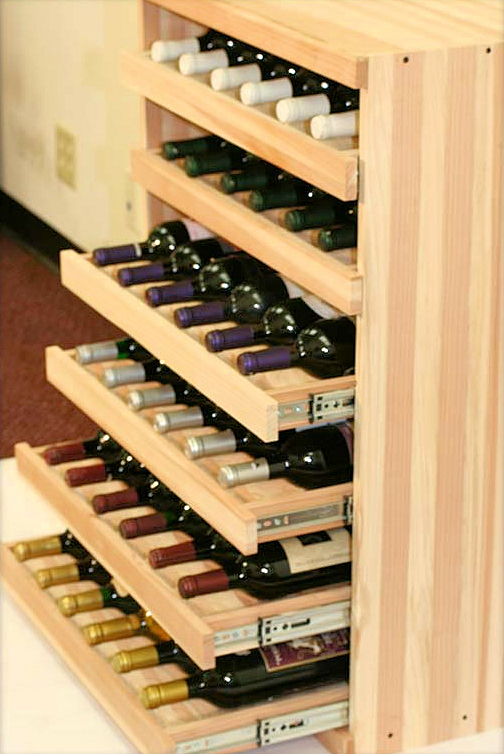 There are wine racks and then there are wine displays, like this Don Vino wine table from Chicone Cabinetmakers. The table sits 21” tall with a 33.75” diameter and can hold 16 bottles of wine that slide inside. It’s the perfect place to host a wine tasting. 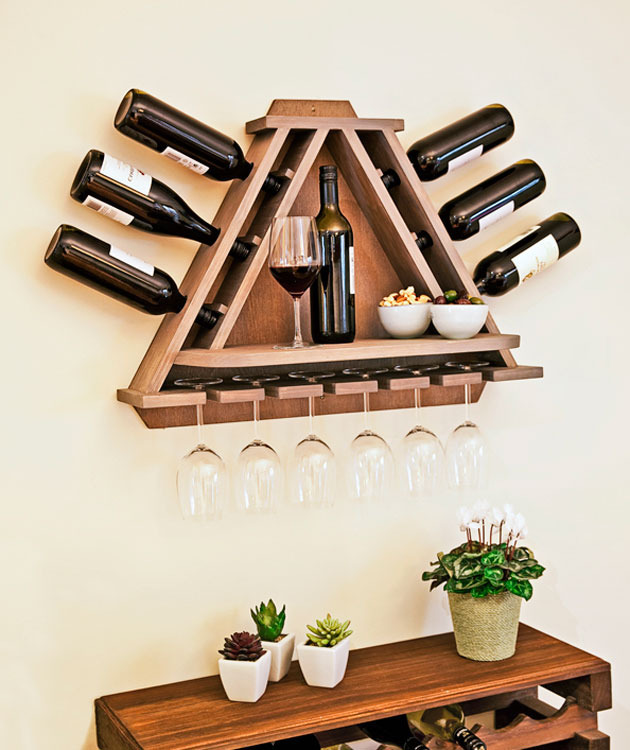 “Shape” up your décor and build this DIY triangle wine rack from Better Homes and Gardens. It holds 6 bottles and 6 glasses (divine intervention? ), and has a small shelf for placing the open bottle. They’ve even provided the building instructions on their website (downloadable PDF). 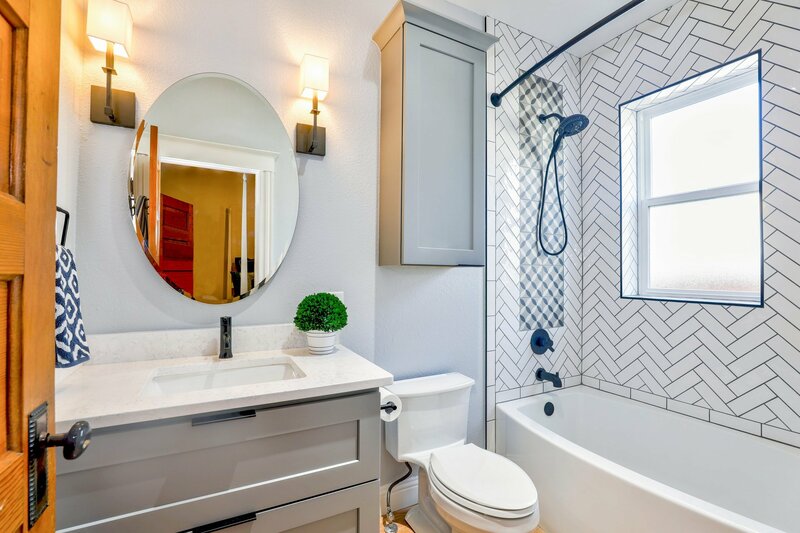 Pipe is popping up more and more in interior home design. 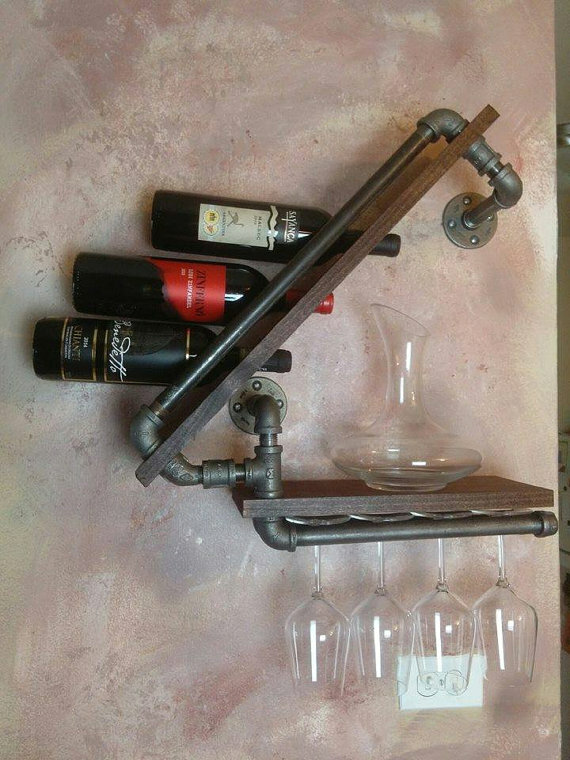 If you’re a fan of this growing trend, you’ll love this industrial pipe wine rack made by CreativeFixtures. It holds 3 bottles and 4 glasses, and has a small shelf. Here’s one for all the film buffs out there! 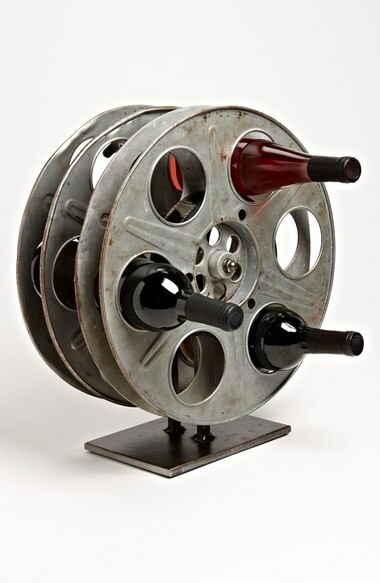 This Film Reel Wine Rack from Moss Studios is made from repurposed mid-century film reels and combines two of our favorite things – movies and wine. It’s a real scene-stealer! This wine rack from Oenophilia isn’t just a place to display your bottles, it’s also a piece of art. Designed in respect to the 1960’s, it’s a beautiful use of clean lines and metals. Fully filled, it holds up to 10 bottles. Limited on space? 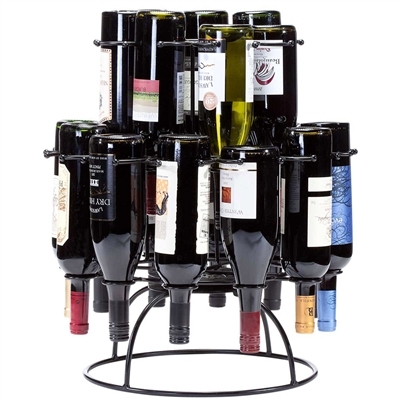 This wine carousel, also from Oenophilia, spans just 14” and holds 19 bottles! Did we mention it spins? How cool is that? 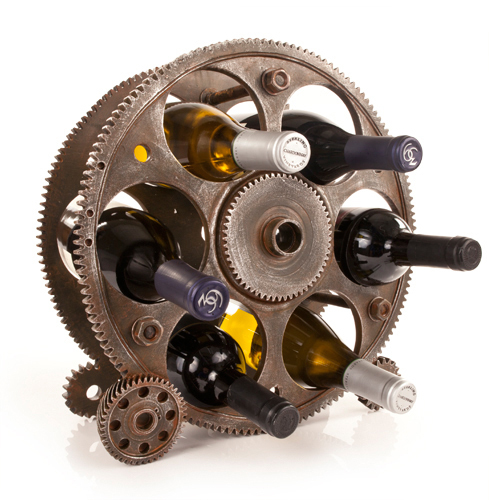 Fans of steam punk will love this Gears and Wheels Wine Rack from Foster & Rye. 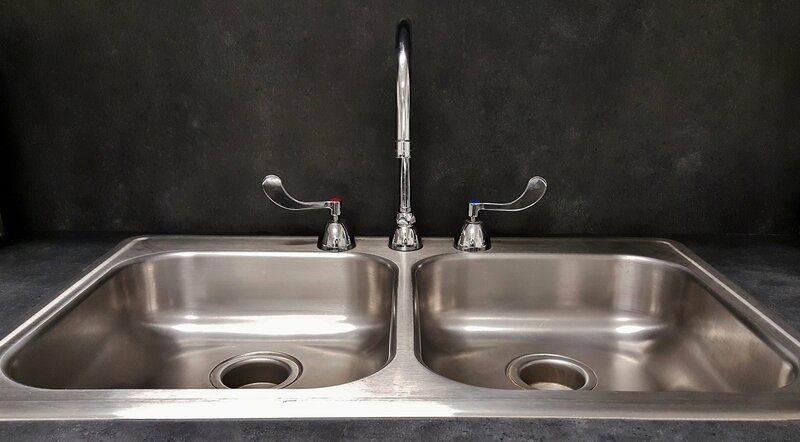 It’s ideal for countertop use and holds up to 6 standard size bottles. It has a weighted bottom to prevent tipping. 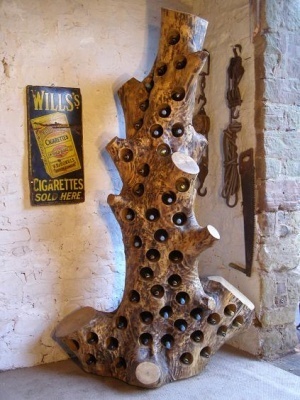 This wine rack from Our Vintage Home Love is incredibly simple and can be made from recycled wood. Simple nails hold the bottles in place. But what we really love about it is the wall it’s hung on. It’s painted with chalkboard paint so the names of the wines can be written and erased. Such a neat way to display wine, especially if you love to host parties. Recycled roof tiles can be a fun way to bring some Spanish accents into your home. Robert Kelley at Vine Dawg did just that with this wine rack he created from roof tiles. 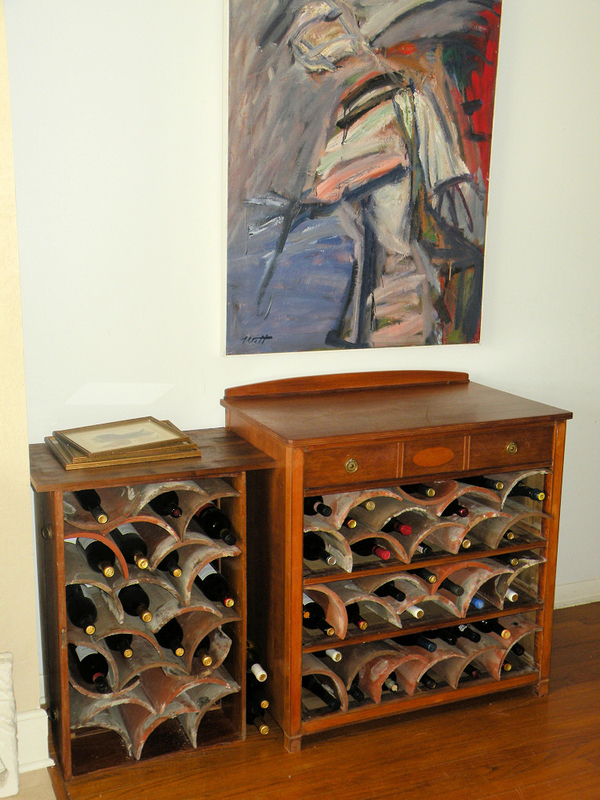 The first wine rack he created was made with an aquarium stand and the original roof tiles from his home. As his storage needs expanded, he upgraded to the converted dresser seen here. 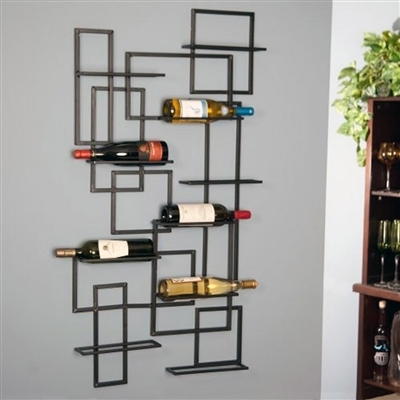 Get an industrial looking wine rack without the industrial price. 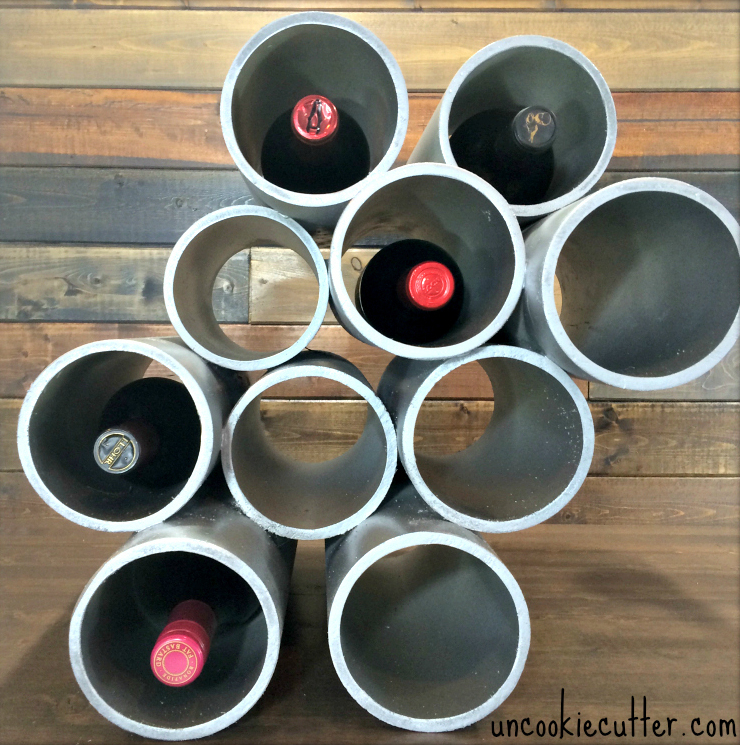 This DIY PVC pipe wine rack from Uncookie Cutter looks like it’s made from metal piping, but cost just $20 to make. Plus, it adds dimension to the room when it’s hung. Speaking of dimension…this creative wine rack shared by Industrial Design Served is called Falling Chips due to the way it looks like paint peeling off the wall. 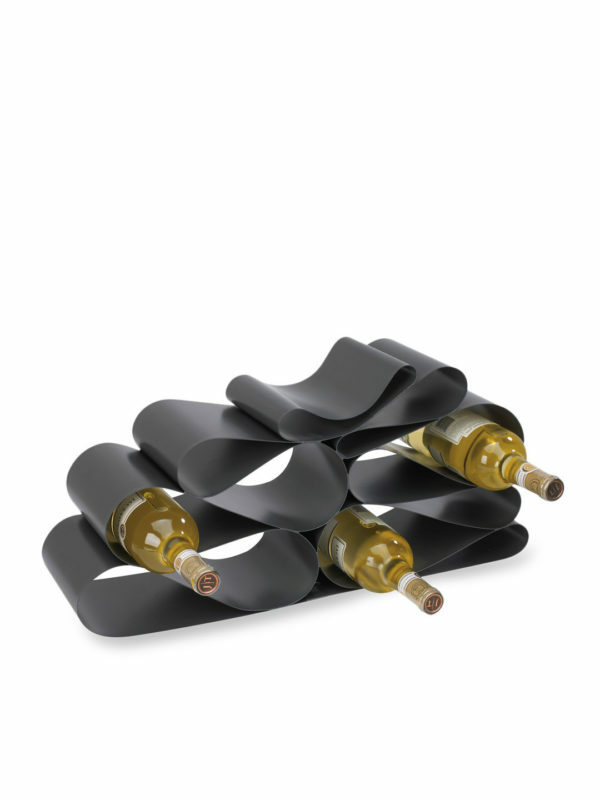 It has great texture and serves the dual purpose of holding all your favorite wine. Artistic and useful! 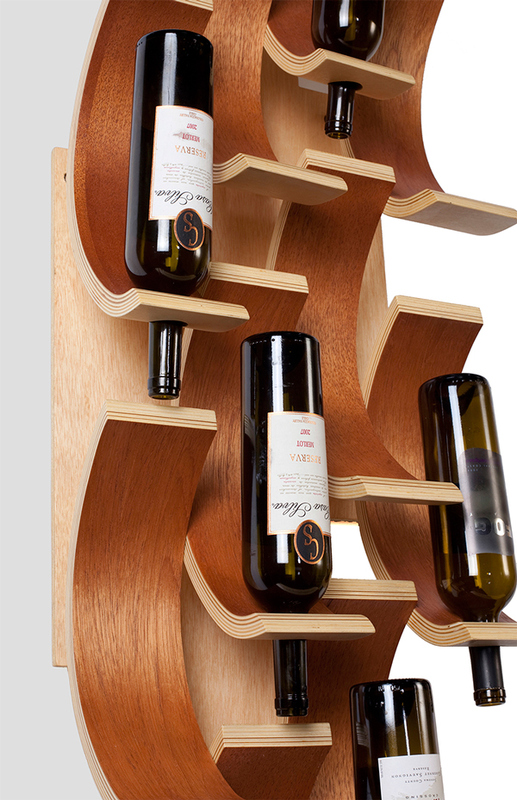 There are some very creative wine racks out there and one of them is this Vinello Wine Rack. It looks like a length of ribbon being folded on top of itself, but is a solid piece of painted. This illusion of softness and movement really makes it stand out. Sometimes you’re lucky enough to find an old box that converts perfectly into a wine rack, like old dairy crates or this vintage ammunition box transformed by AntiqueDoor. What we liked the most is the door on the front. It’s perfect for adding extra bottle protection in homes with small children and dogs. 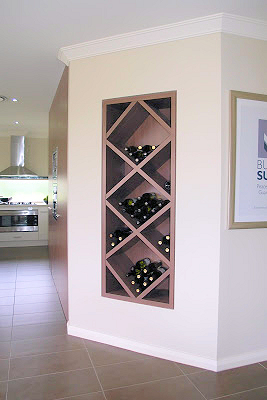 Wildon Home has taken a unique approach to wine bottle display with their Carsten Wine Rack. Five coil holders allow you to store your bottles upside down, which is one of the best ways, because it keeps the cork wet. They claim their rack helps you convert your bottles into instant artwork. We says it’s a work of art keeping the rack full. Does your home have an alcove? Not quite sure what to display there? 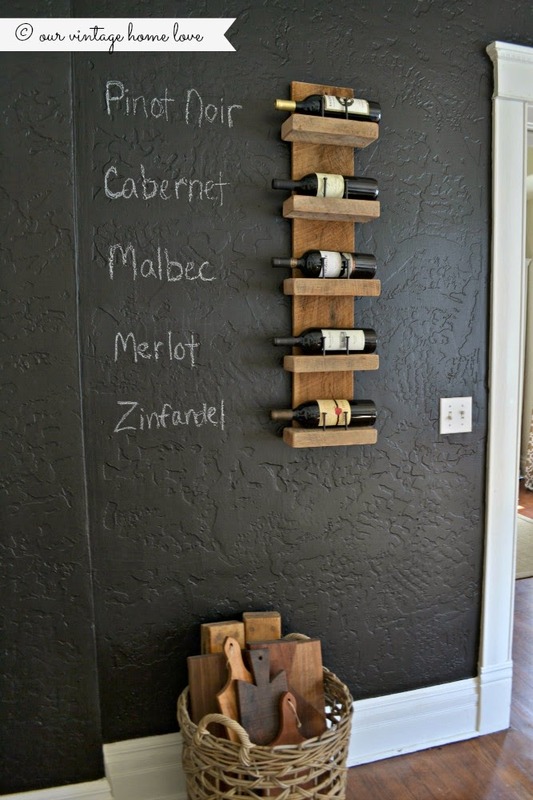 Make it into a wine rack, like this one shared by Keeping Up with the Joneses. 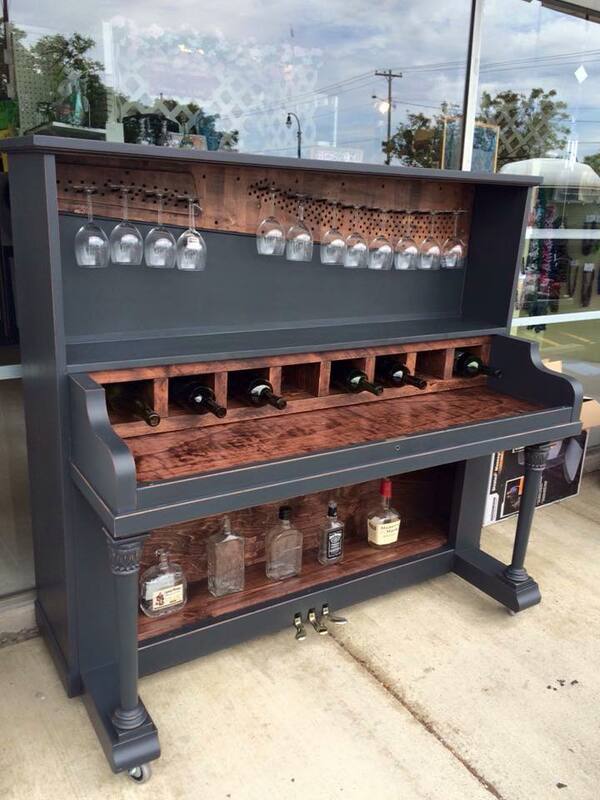 It’s always sad when a good musical instrument goes bad, but sometimes they can be repurposed – like this piano made into a wine rack! Shared by Furnish Burnish, this piano had the perfect framing for holding up to 8 bottles of wine and accompanying glasses. Here’s another option for wine drinkers who want a floor wine rack, but are worried about the bottles being broken. This Pull-Out Wine Bottle Cradle from Wine Cellar Innovations doesn’t have a front door like the vintage ammunition box, but it does provide side protection. The bottles are easy to access via slide-out racks. 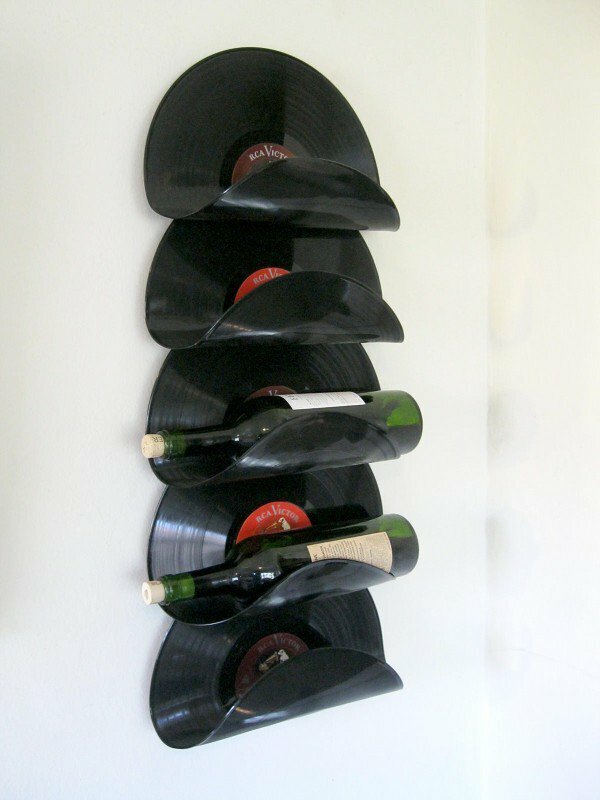 Add a musical touch to your room with this DIY vinyl records wine rack. Want to know how to make it? Patrick Hoesterey shares exactly how he made his on RecylArt. 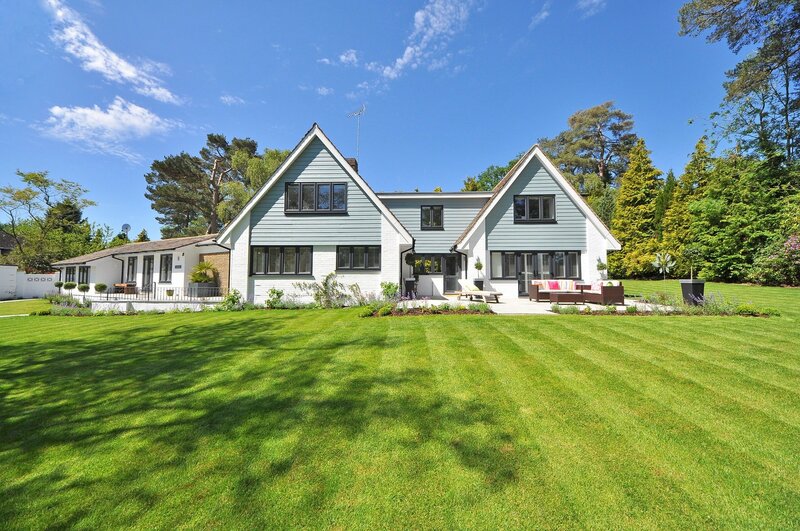 Does your home have a nautical theme? 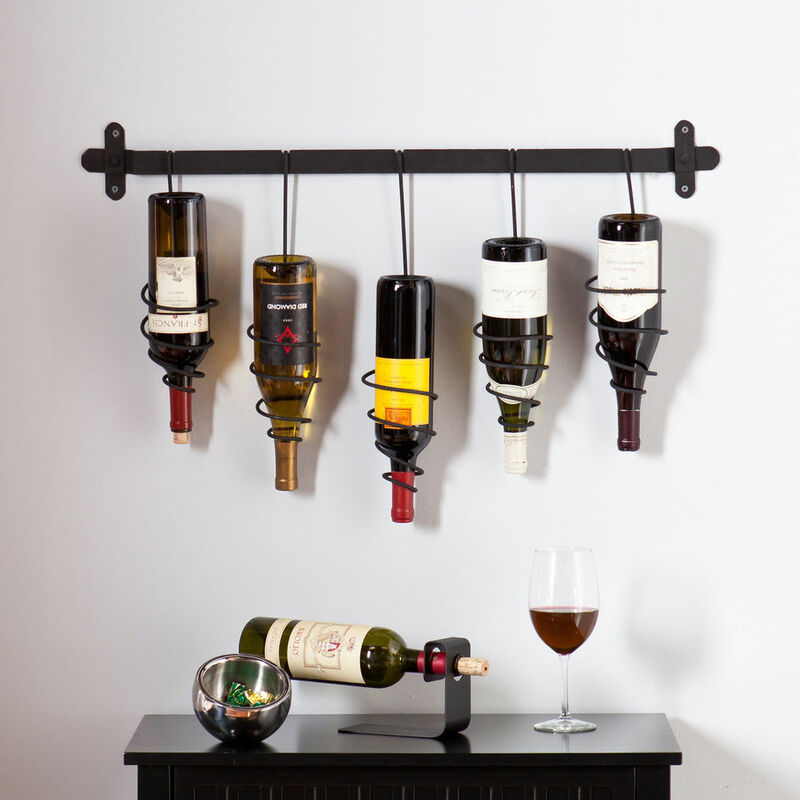 If so, this is the DIY wine rack for you! Cambria Wines has a step-by-step tutorial with pictures explaining how to make your own. Have a favorite wine rack not shown here? Share it in the comments!